Christensen Shipyards, the US-based superyacht manufacturer, has announced the sale of Hull 38, a 50m high-volume superyacht, to a pair of experienced yachtsmen from New Jersey. The vessel, which was formerly under contract to Henry Luken, chairman of Christensen Shipyards, was sold with less than six months to go until its scheduled delivery date. The full ABS superyacht is a six-stateroom vessel with a large master suite on the main deck and five large cabins, including a full-beam VIP stateroom on the lower deck. Hull 38 was sold under the central agency listing of Merle Wood & Associates. 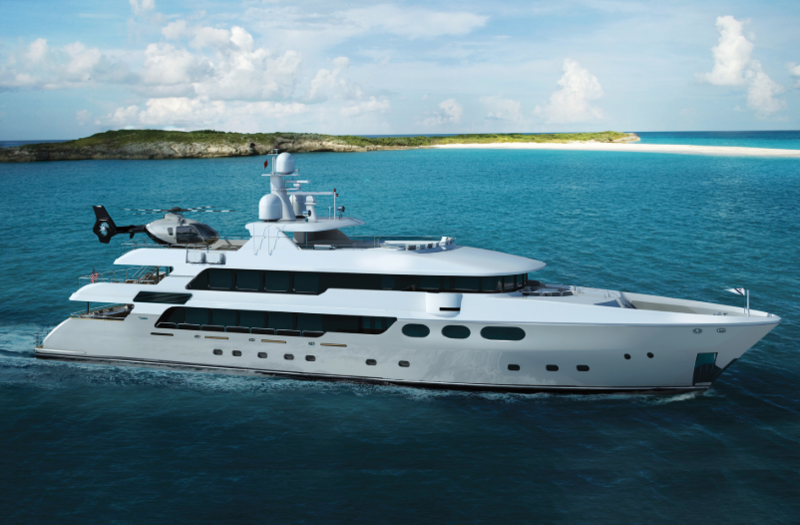 Similar to previous yachts in Christensen Shipyard’s 50m full-volume series, Hull 38 is distinguished by a number of features, including an engineer’s cabin in the aft lazarette, a predominantly Garmin-equipped wheelhouse and an innovative, easy-to-maintain, dual loop HVAC system developed by Christensen. A modern yacht with classic, raised black walnut panelling, Hull 38 also features marble and onyx stonework, expanded dining capacity and a powerful sound system throughout. Gilbert explains that Luken continued to build Hull 38 as if it was his boat and he intended to take delivery of it. “If he sold it, great, and if not, then Mr Luken would have had a beautiful new boat,” he says. 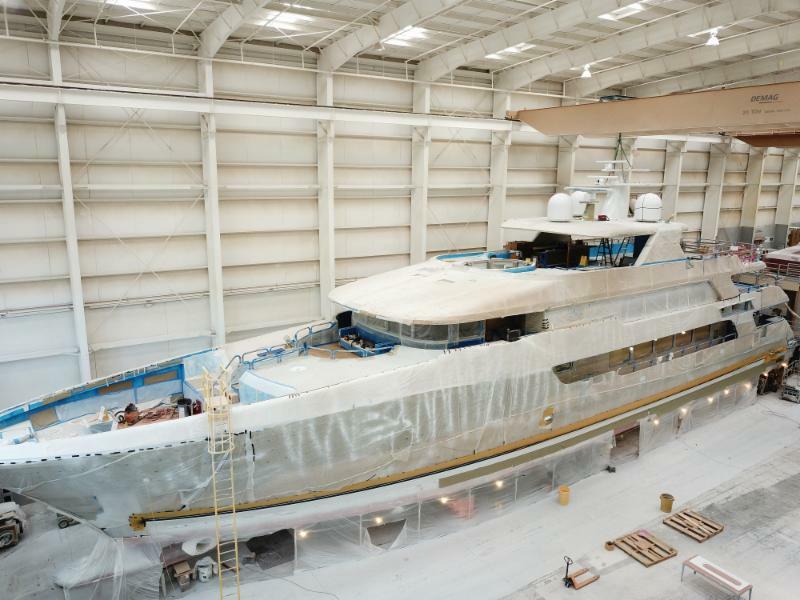 However, moving forward, once Hull 42, the last vestige of the old company that went into receivership, has been sold, the strategy is to develop new contracts and open up Christensen Shipyard’s facility in Tennessee in order to begin building larger superyacht projects. Gilbert believes that the sweet spot for Christensen’s long-term growth is around the 65m mark. 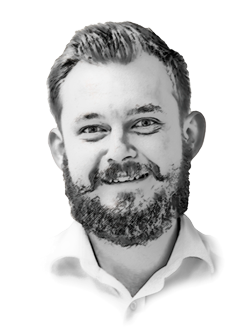 “We could do 70m, but 65m seems to be where a lot of the market is going,” he says. “If you are going to go over the 500gt boundary, you really might as well do it for more than 40gt, you might as well do it for 250gt. Our idea is to produce wide, full-volume boats that aren’t 75m in length, but that boast the same volume.